M. Juliet Bonazzoli is an Associate in Cummings & Lockwood's Litigation Group and is based in the Stamford office. Juliet represents clients in a variety of corporate matters including, product liability and asbestos defense litigation, complex litigation, contract actions, business disputes, business torts, probate litigation, employment disputes, and Financial Industry Regulatory Authority (FINRA) arbitration and litigation. She also has represented clients on a pro bono basis in marriage dissolution actions, juvenile neglect proceedings and probate actions. 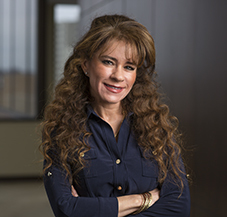 Juliet joined Cummings & Lockwood in 2000, having previously worked for Pullman & Comley LLC, where she practiced employment and health care law.